The outbreak referred to in the title is the world’s biggest ever outbreak of Ebola virus, in West Africa from 2014-2015. This book documents the experiences of two healthcare workers volunteering in an Ebola management centre in Kailahun, Sierra Leone. Andy Dennis is an endoscopy nurse from Harrogate and an experienced volunteer with Médecins Sans Frontières, or Doctors without Borders. For his colleague Anna Simon, a Dutch consultant in medicine and infectious diseases, this was her first experience working in a developing country. 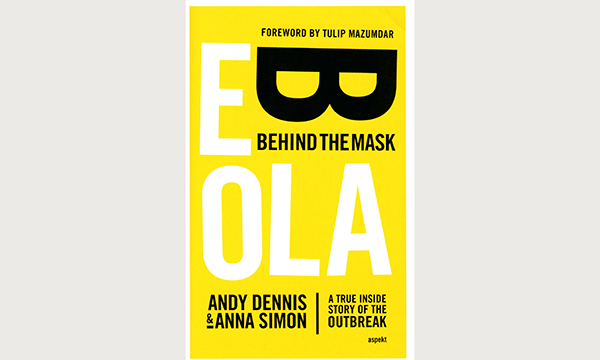 The book is structured in the manner of a diary, detailing a one-month assignment at the Ebola Management Centre and the periods just before and after. The authors describe in detail the structure and daily activities of the centre, as well as the stories of the staff and patients. Descriptions of the extraordinary infection control procedures provide moments of real drama, such as the risk of a likely fatal needlestick injury. At its heart, this is a human story of life and death, hope and fear, tears and joy and it is told with compassion and great empathy for the people of Sierra Leone. Both authors write fluently and with an authentic voice, which increases the reader’s enjoyment. The healthcare team show great dedication and caring in the most difficult of circumstances. Any nurse or healthcare worker would find this book moving and interesting.